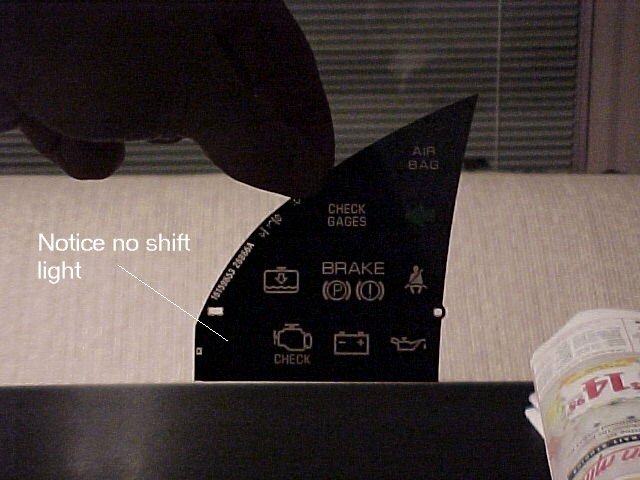 Instructions for taking out the gauge pod, covering the DRL indicator light and painting the trim ring around the gauge face. Thanks to Vincent Keene for all the help on this one. Instructions by Brad Marx. Your choice of a 7mm socket, 9/32 socket or Torx, screwdriver. 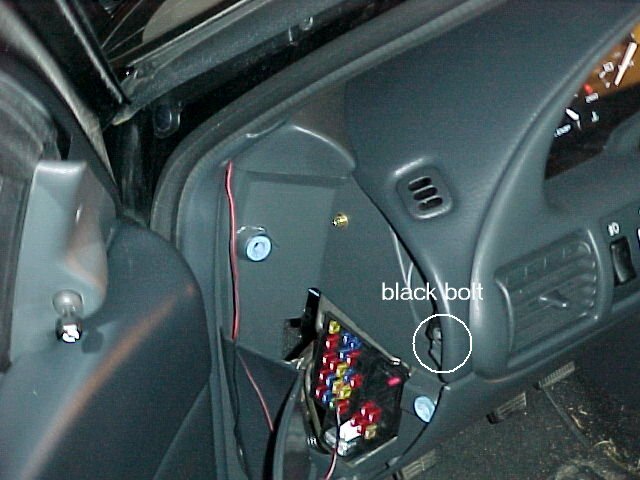 Take out both cover pieces at either end of the dash (pop them out with a screwdriver) Also remove the one bolt for each side. 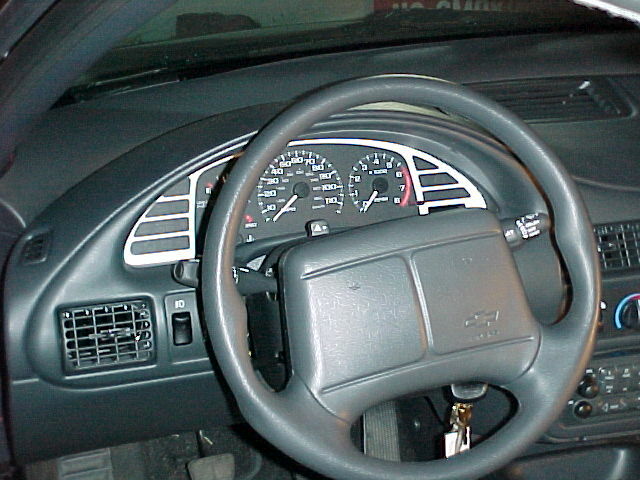 Placement shown by circles on pictures. 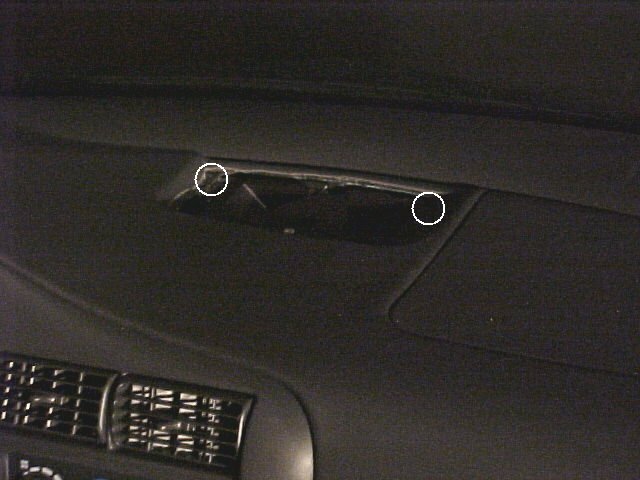 Unscrew the center defroster vent on top of the dash, then pop it up with a screwdriver and remove the two bolts underneath it. 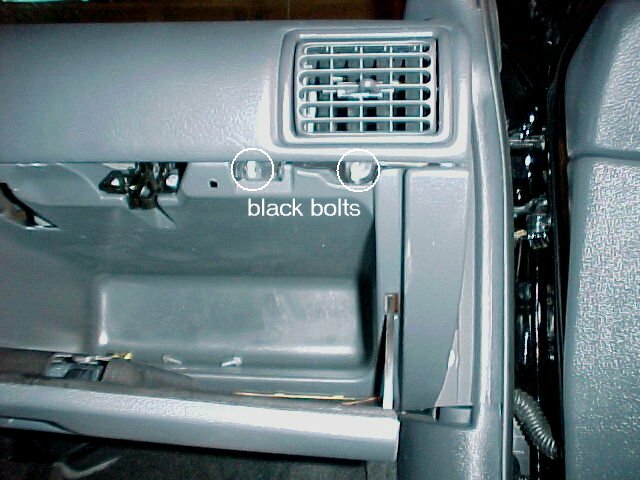 Open the glove box and there will be 3 bolts (black) shown in pictures with circles. Also there are two brass bolts be careful not to drop them. 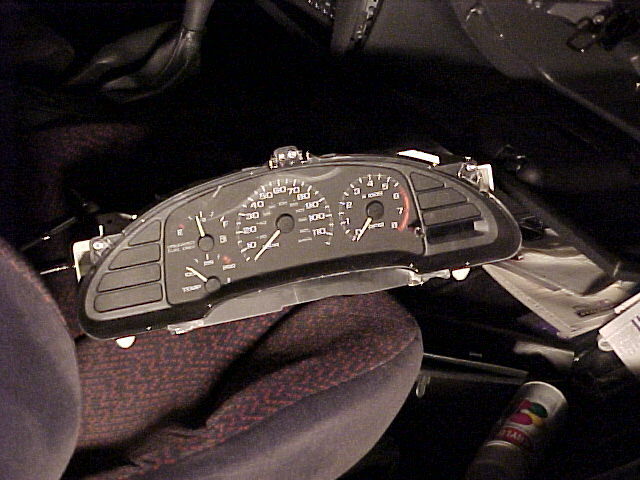 The dash top will now be loose and will be able to be removed. 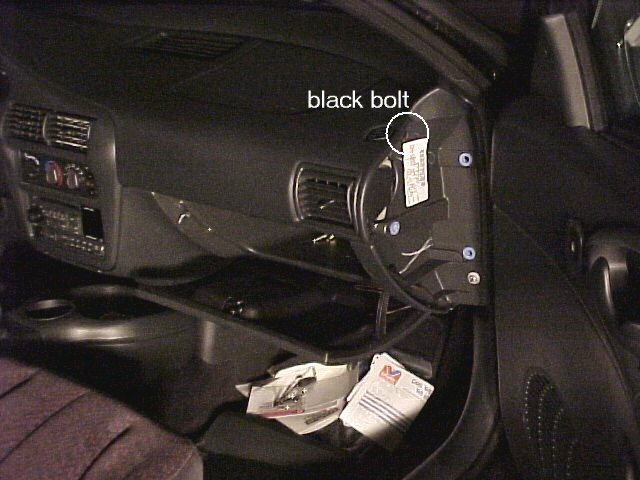 Wiggle it loose above the gauge area because there are a few small clips that hold it together. 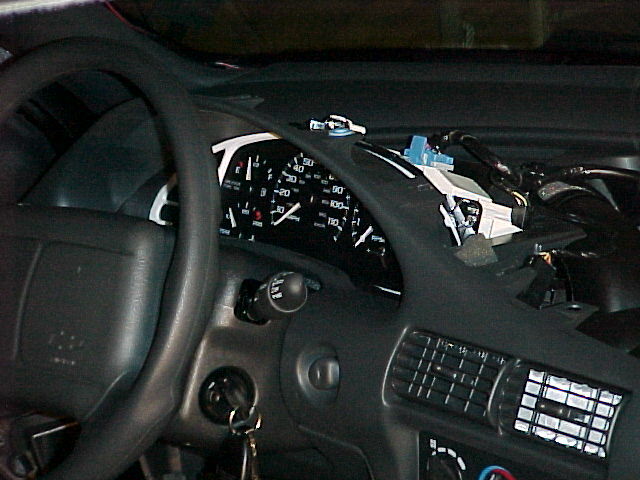 Once the dash cover is off, you must remove the 3 bolts that hold down the trimplate around the radio and gauges. 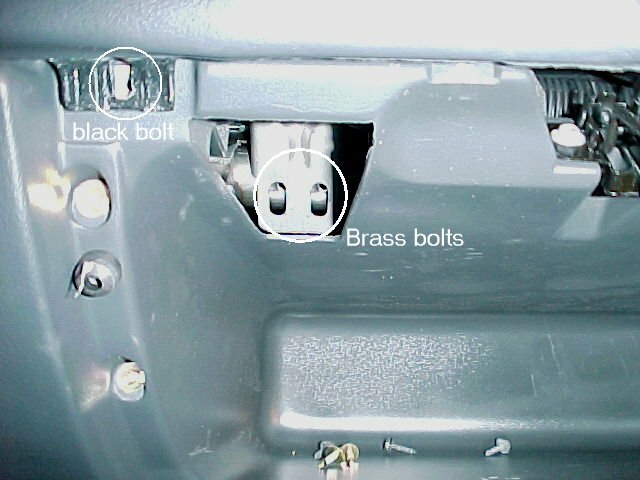 There are also clips all the way around it so (take your time because the trimplate will break fairly easily) just gently pry it loose with a small screwdriver. 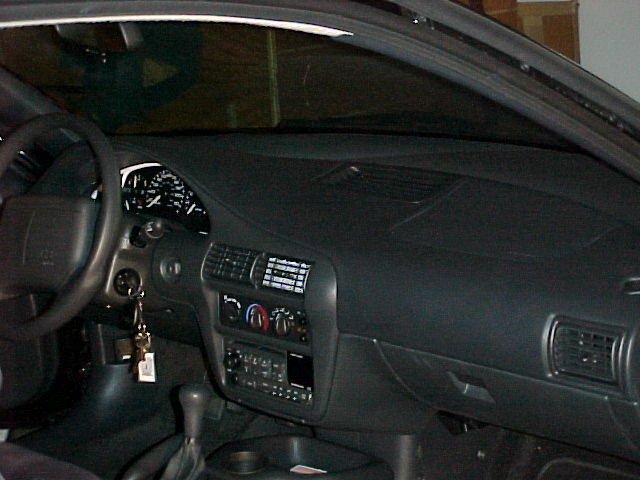 Pull the trimplate back and you will have access to the gauge cluster. 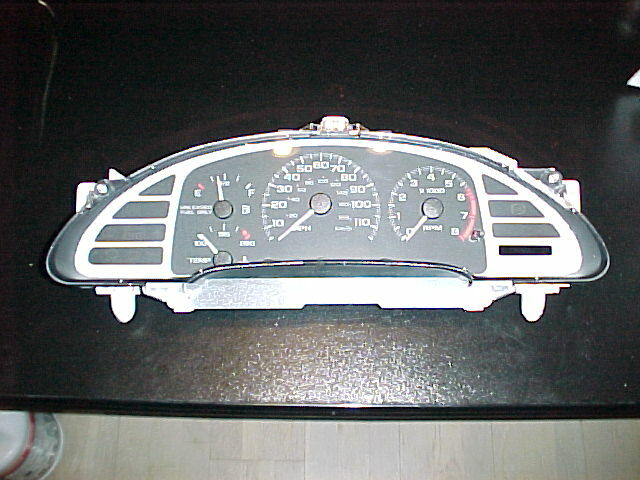 You will now have a self contained gauge cluster that can be removed. 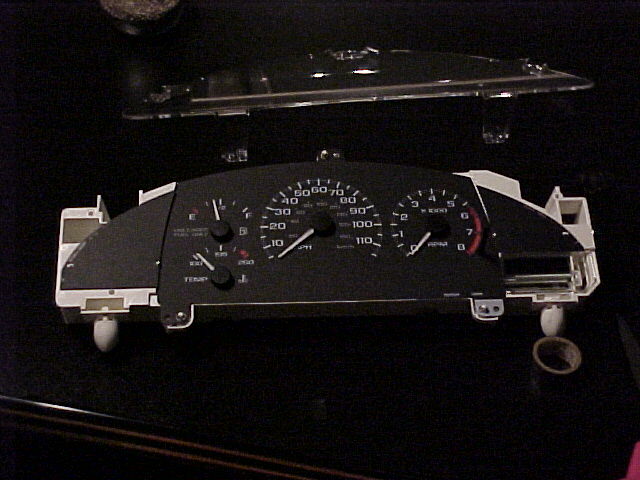 Remove the small bolts that hold the clear cover on and then you will have access to the gauge overlays and trim piece. 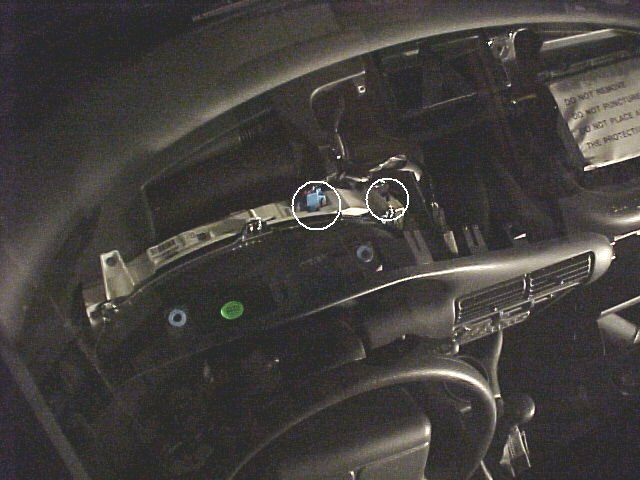 Remove the right side overlay (side with DRL light). 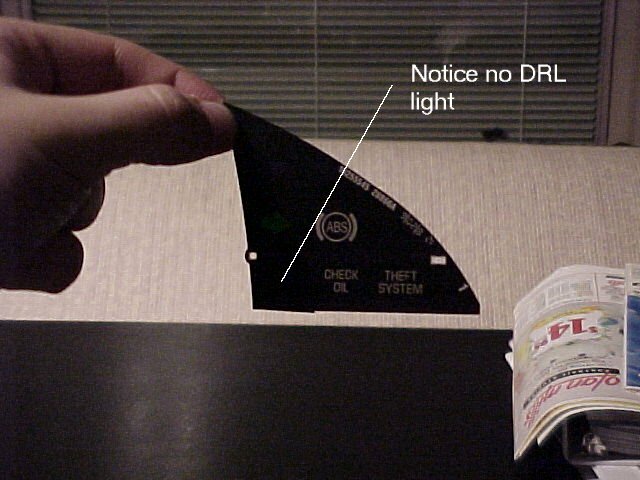 Now put a piece of electrical tape on the back (covering where the DRL symbol is) so the light will not get through. 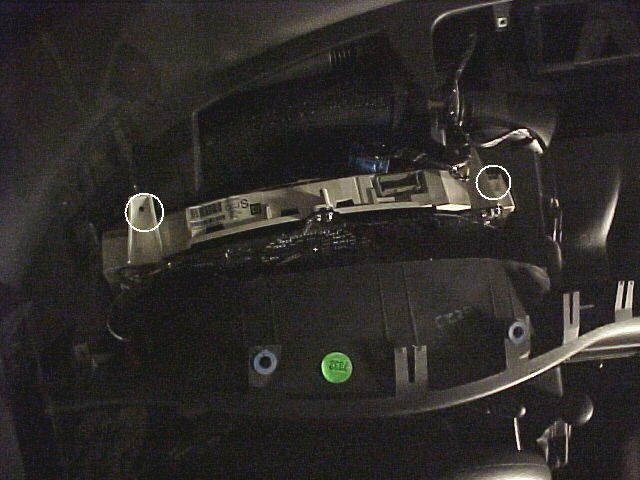 While I had this apart I also covered my shift idiot light on the left side. 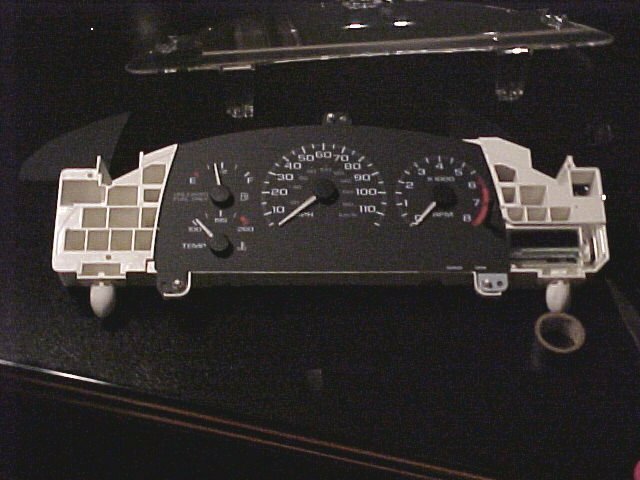 I didn't paint the whole trim ring just the part next to the gauge faces. 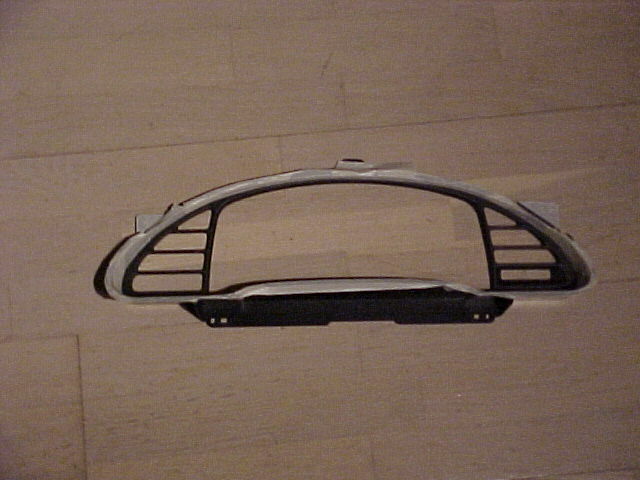 I used masking tape to mask off the rest of the trim ring. After taping off, use alcohol to clean the part you are getting ready to paint. 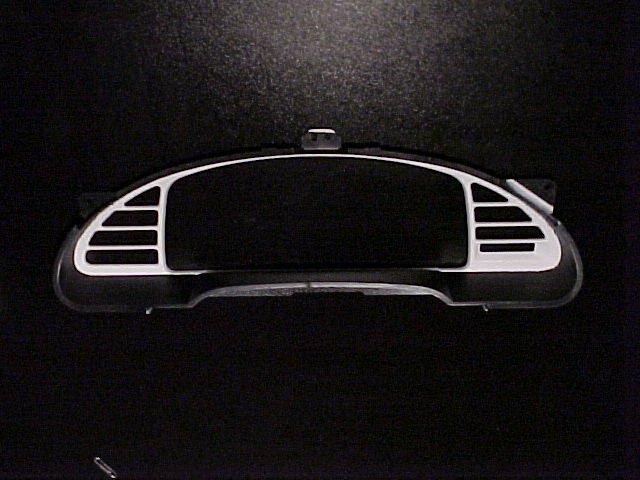 I used flat paint to reduce the glare. One primer coat and two final coats and plenty of drying time. 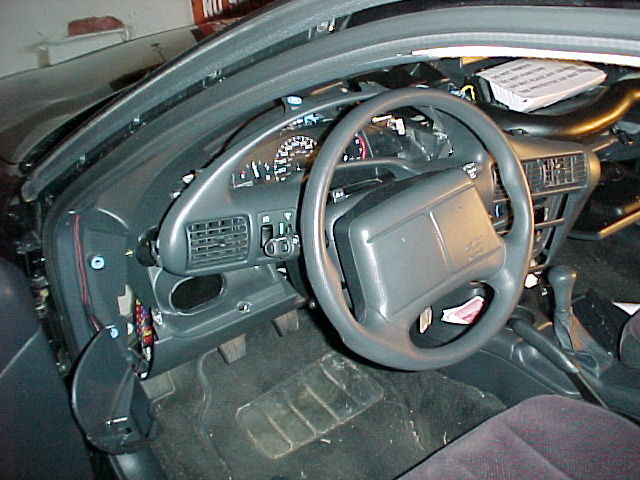 Now just reverse the above steps to get the dash back together. 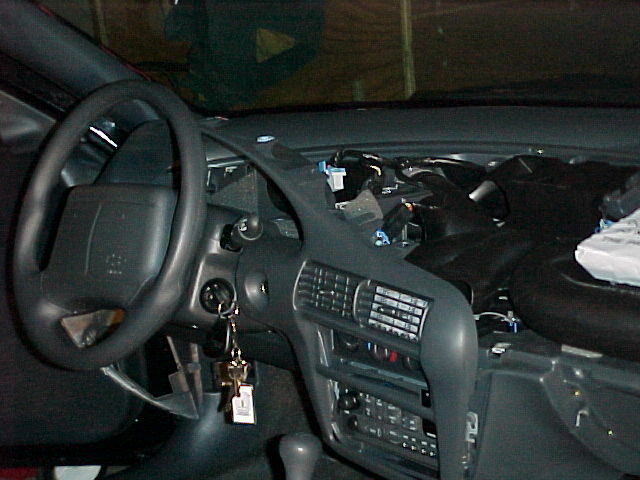 Good luck It took me about 45 minutes to get the dash apart and, after the paint dried, only about 30 minutes to put it all back together.